A spokesperson for Carillion Canada said Tuesday the subsidiary's leadership is looking at how to continue operations. Employees, subcontractors and suppliers are still being paid. Alberta Transportation Minister Brian Mason said his department is working on a contingency plan. "We have no reason to believe at the moment that they're about to be unable to perform their responsibilities," Mason said. "But in case that happens, we're going to be ready." 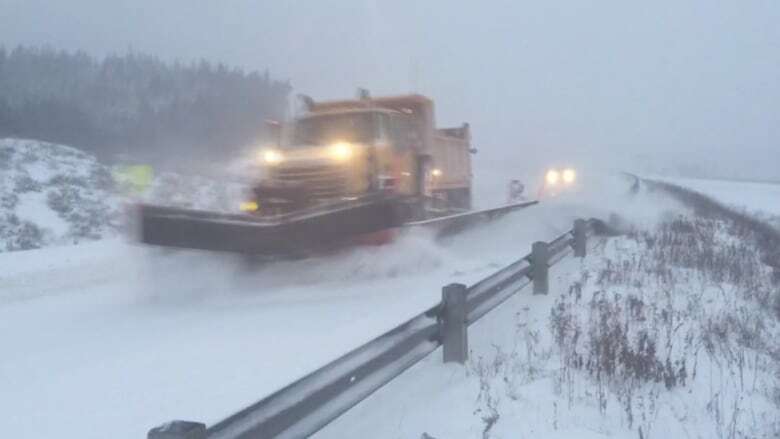 Snow removal on Alberta highways is performed by private companies that bid on contracts. The three contracts held by Carillion Canada cover 43 per cent of Alberta's 33,000 kilometres of highways. Slave Lake, Wabasca, Swan Hills, High Prairie, Kimuso, Sherwood Park, Morinville, Gibbons, Barrhead, Westlock, Athabasca, Leduc, Warburg, Drayton Valley and Stony Plain. Mason said his department is reviewing how snow removal is delivered in Alberta. However, he said the government won't move the service back into the public sector. "I don't think that's a direction that we're going to be going right now," he said. Carillion has about 6,000 Canadian employees.